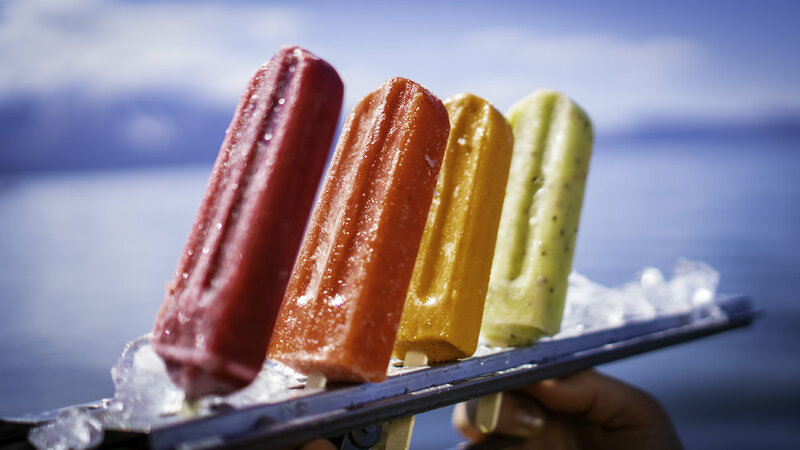 Tahoe Pops’ provides a delicious refreshing treat made with mindfully sourced, all natural ingredients. Our Pops are handcrafted in the mountain paradise of Lake Tahoe. We’ve taken advantage of our geographical location in Northern California, giving us access to the best fresh fruit in the country! Our ingredients are consciously selected from sustainable sources, local and organic where possible, to give you a treat you can feel good about consuming! Have questions about wholesale, catering and events, flavors, or more? Give us a call at (530) 318-5550, or send us a direct message using the contact form below. Thank you for your interest in Tahoe Pops!